Attach your CLX securely to your CLX Door Anchor. While placing your hand into the last easy grip loop, turn and face your body away from the anchor point. Move away from the anchor to create appropriate resistance. 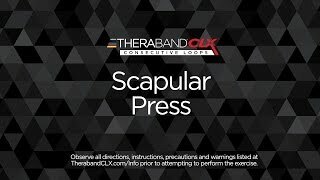 With an open hand grip and holding your arm fully extended in front of you, push forward against the resistance of the CLX moving only your shoulder.